We are heading home from Eastern Oregon today. A long, hot drive across the state to home, but it has been a fun trip. Even though this is not my usual subject matter it’s stretched me and I have a number of photos that I will have fun editing. One great discovery: There are aspens in Oregon. 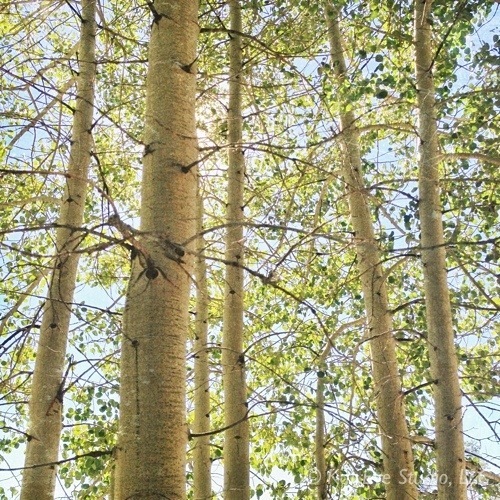 Growing up in Colorado, these beautiful trees have a special place in my heart. It made me feel good just to be among them. I hope these photos make you feel the same. I was even inspired to capture a little video, to capture the shimmer and sound of the leaves. We were sitting at my nephew’s graduation party with my aunt and uncle. The party was going to end soon and we had the rest of the afternoon free. After some debate between my brother and uncle of where to go, I had them both talked into the idea. It was a gorgeous spring day. 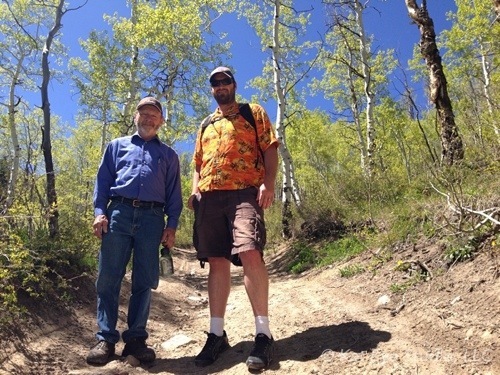 Perfect Colorado-blue skies and comfortable in summer clothes even at 9000 feet. 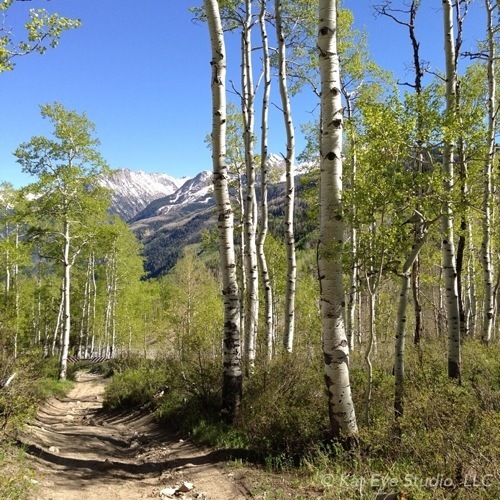 The aspens were gorgeous with their new-leaf green and the mountains in the distance still had some snow. We don’t have aspens in Oregon, and I miss them. 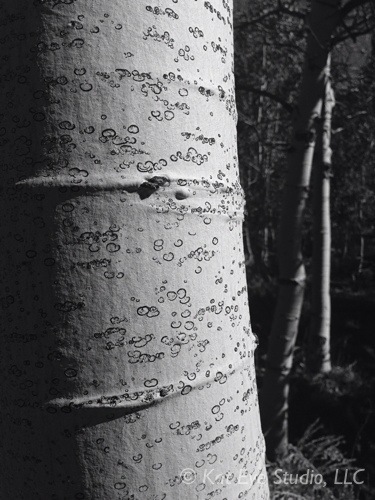 There is something special about aspens. It may be the way the seem to shimmer as the light comes through their leaves. Or maybe it’s the gentle rustling sound they make as the breeze dances through the tree tops. 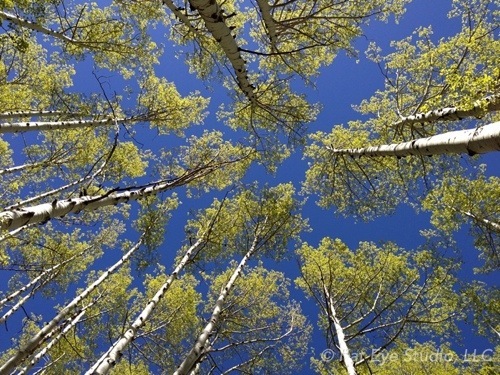 Or the seemingly endless white trunks reaching into that deep blue sky. Or maybe it’s that there are the trees of my childhood forest. I camped with my family under these trees. Hiked with my friends. Saw the cycle of green to golden yellow to bare to new leaves again too many times to count. 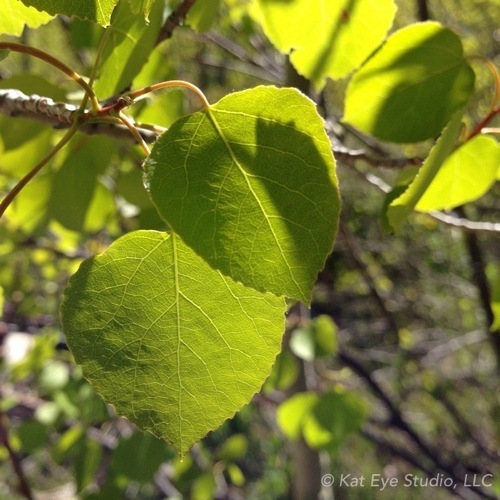 Whatever the reason, aspen trees hold a special place in my heart. It was a short hike, seeing as I didn’t have the right shoes and I’m not ready for serious hiking at high altitude. I’m a sea-level girl now, much as it pains me to admit it. But no matter the length, it was time well spent. 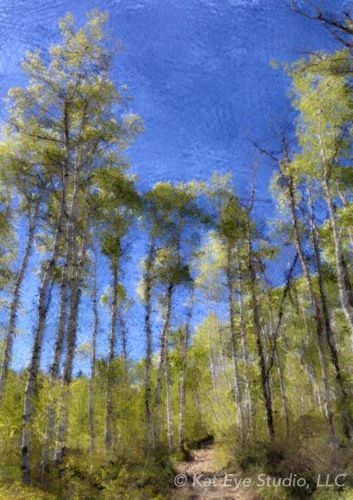 Seeing the Colorado forest again, so different from the forests of Oregon, was a joy. Enjoying the sunshine and moving my body, after all of the sitting of travel and graduation and parties, felt wonderful. And most of all, connecting to my brother and especially my uncle, who is usually very quiet and reserved at social events, in an environment we all love.